It is rare for me to speak in Ilocano especially in Mindanao. 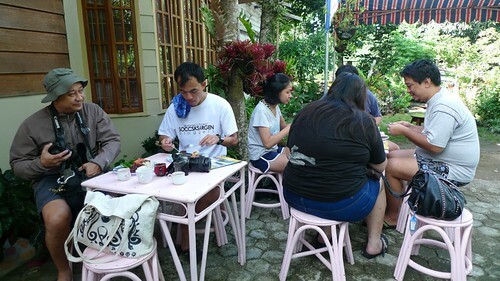 I’ve been to Davao, Cagayan de Oro and Camiguin, but it is my first time for me to interact through my mother’s secondary language while having breakfast in Cresing’s at Maitum, Sarangani. Without much sleep and after the van incident (a funny one LOL), all the participants tried to take a nap while on a two-hour trip to Maitum, Sarangani. The gang woke up as early as 4am to prepare for the ‘Wet ‘N Wild Sarangani’ part of the tour. We were assured that we will be having a healthy organic breakfast. Thanks to Cresing’s for inviting us to their humble home! While waiting for the preparation, I suddenly heard Ms. Beth talk to Doc Charles in Ilocano. Me: Makasao ka ti ilokano? Doc Charles: Wen ading. Apay? 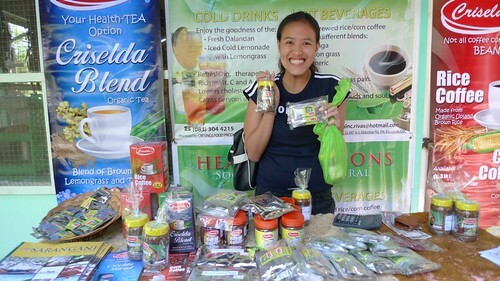 Maitum is known as one of the top rice-producing municipalities of Sarangani and Cresing’s Organic Rice Coffee is one of the most popular alternative beverage in Mindanao. 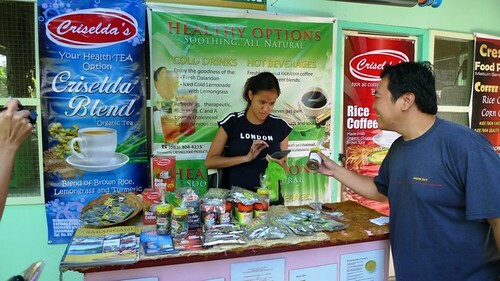 There we spotted some products like the Rice Coffee, Corn Coffee, Roasted Rice, Lemongrass 3 in 1, Bagoong among others. With Mr. Serafin Ramos. Peace out! 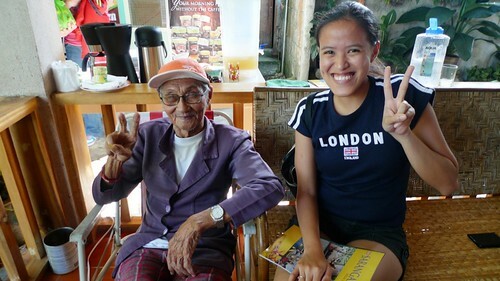 Before the breakfast buffet started, we were able to meet Mang Serafin, the head of the house. He is 90+ years old and according to his daughter Beth, he is a leaf-player just like our National Artist for Music Levi Celerio. I then found out that he is originally from Agno, Pangasinan. Wow, Kababayan ko pala kayo eh! He left Pangasinan sometime in 1950’s where he started family life from scratch. I tried to talk to him in Ilocano and I sense a little glow on his face. Maybe that reminds him of his years in Pangasinan. I wonder if he’s a relative of Former President Fidel V. Ramos? I can see the resemblance! Now let’s proceed to the healthy organic breakfast – Cresing’s style! I wasn’t able to take individual food pictures since I was too hungry and eager to eat hehe 😛 They served three types of Rice: White, Black and Red. The Black Rice is my favorite. There’s the salted egg minus the red coloring, okra and bagoong with kangkong and of course, Bangsi! 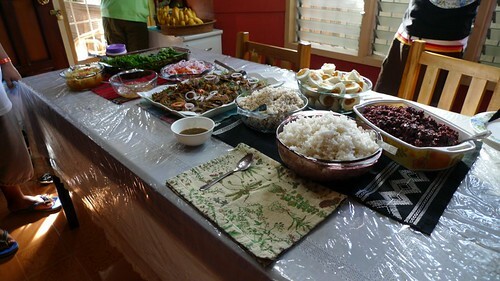 Sarangani is also known as the Bangsi Capital of Mindanao and it is my first time to taste it…. or maybe i did before. I’m not quite sure hehe. This type of breakfast reminds me of my usual breakfast in Binalonan, Pangasinan where i am surrounded by my Ilocano relatives. Nate-tempt akong mag-kamay! 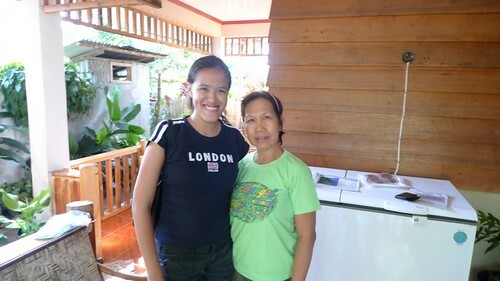 I asked Ms. Beth if she was born in Pangasinan and just migrated in Sarangani. She said that she was born and raised in Maitum. It is quite fascinating that Ilocanos who were from Pangasinan, Benguet and La Union that transfered to Mindanao in the 1950’s were able to teach their children their native language. I am not so sure if the ‘kuripot’ and ‘matapang’ traits where inherited too LOL. Lovely and hearty breakfast! Most of us bought some items. I bought Bagoong (Php35) and it is quite similar to the one being sold in Pangasinan. I am a coffee lover and I wouldn’t mind shifting to the ‘healthier’ way of making my drink. No Caffeine! P'wede i-take home lahat ng paninda? please? Hindi ko to naabutan! Nmm.. ang sarap lang. gusto ko din balikan ang Cresing!